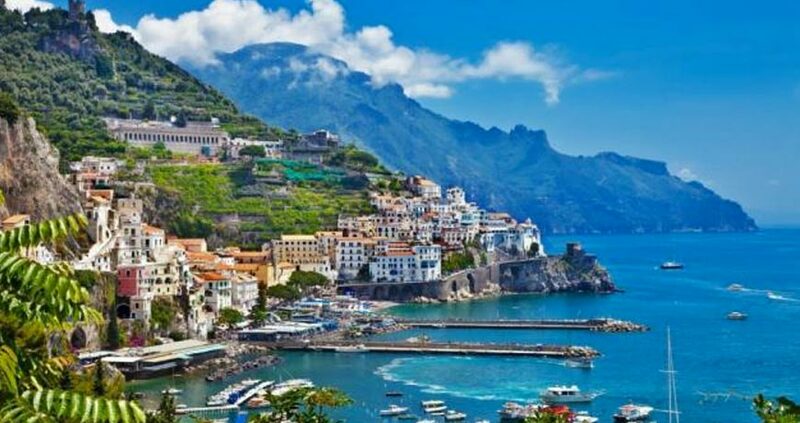 Doubtless one of Italy's most famous, beloved and inspiring areas, the Amalfi coast has always been the destination for tourists from the whole world who come to admire its stunning beauty. Amalfi, Positano, Vietri, Maiori, Minori, Ravello, Praiano... enchanting jewels set into the Campania Felix bay, all different but equally beautiful. The first historic mentions for Amalfi, the most important city on the coast, date back to the 6th century AD, when it becomes part of the Byzantine empire. It then becomes the oldest of Marine Republics, reaching the peak of its power between the 10th and the 11th century, later to become a rich feud of the Este family. The discovery of the Amalfi coast dates back to the end of the 1800's, when, on the wave of the inspired descriptions of the place by artists and poets, it becomes an International phenomenon. Let your instinct guide you through the discovery of the Coast's wonders. The scenery is so stirring and collected that the little towns' attractions are easy to reach. Positano is a beautiful display of little white houses of Mediterranean flavour laid out straight over the sea in a labyrinth of alleyways and stairs. Amalfi is dominated by its famous cathedral, an Arabic-Norman architectonic group built in 1203 on 9th century building, offering with its Paradise Cloister a scenery of impressive beauty. Its narrow roads connecting in the triangular square are irresistible, and at the centre rises Sant'Andrea's baroque fountain. Ravello's strong points are the splendid gardens and the Arabic-Sicilian architecture. Do not miss Villa Cimbrone, the view from there extends until the planes of Paestum and is considered one of the most magnificent in the world. Still in Ravello you can visit Villa Rufolo, a princely residence built between 1270 and 1280 and recalled by Richard Wagner in the "Parsifal". There are many places of almost secret beauty, which escape the traditional itineraries, such as the Riola flight of steps connecting Strani to Ravello, Palazzo Mezzacapo in Maiori, with its rose gardens, the natural arch of the Settica and the Conca dei Marini. Especially in the summer the whole coast offers various cultural and artistic events. Some are of International importance. Every year Positano holds Cartoons on the Bay, a festival dedicated to cartoons. In Giffoni Valle Piana there's the Giffoni Film Festival, the only film festival dedicated to children. In Ravello, every year in the month of July, an important International Music Festival is held.